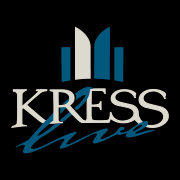 Kress Live is housed in a 20,000-square foot building that is steeped in history. Its namesake, Samuel H. Kress, was a department store pioneer and avid art collector in the 1900’s. It is being lovingly and painstakingly restored to reflect the extensive and eclectic history of music that helped shape the city of Biloxi as well as the entire state of Mississippi. This remarkable place is located in the Vieux Marche, at 814 Howard Avenue. The summer will kick off an illustrious parade of musical talent that will be showcased at the one-of-a-kind Kress Live venue. The owners of Kress Live, Chase Taylor and Nick Quave, have been friends since they were kids and they grew up right here on the Coast. They have traveled all over the world and visited some of the most luxurious and well cultured destinations. They had numerous opportunities to pursue ventures in larger markets but have always had a vested interest in the Mississippi Gulf Coast. After the economic downtime following Katrina and the BP oil spill, Chase and Nick felt that someone from their generation needed to make things happen, take risks, and develop something brand new. “The Coast was lacking energy. This culture was in need of a transfusion. We began to look into concepts that could create the spark that we needed. The concept would have to inject new blood into Downtown Biloxi and evoke new emotions for our community. Art and music are the revolution that will inspire growth for this area. We wanted to revitalize the Coast,” Chase said. It was very important that the concept embody a strong connection and love of the Coast while paying homage to the culture of music and art. The dream began almost 3 1/2 years ago. Kress Live will be a celebration of Mississippi’s rich musical heritage that began with Elvis Presley, Muddy Waters, Jimmie Rodgers, and Robert Johnson, to name a few. These artists have inspired musicians from every corner of the world! Out of love and respect for those who started it all, Chase and Nick formulated the concept for Kress Live. The creative juices continue to flow throughout generations of singers and musicians who are blazing their own trails and making their mark. Kress Live will bring the biggest names to the Gulf Coast along with brand new artists that just may become the stars of tomorrow. Kress Live will present 120 shows featuring local and international artists next year. Downtown Biloxi and the Vieux Marche are going to explode with the best concerts and most exciting forms of entertainment showcased in this very extraordinary venue. Chase Taylor and his partner are in awe at how their original business plan has taken on a life of its own. It has grown and evolved so much with the additional guidance and advice from some very savvy and knowledgeable individuals who have shared ideas and brought further inspiration and creativity to the table. Kress Live will be an arts and cultural hub that is intended to inspire greatness throughout the community. “This project started with the understanding that the culture of art and music needed to be injected back into the area. We are so passionate about art and music, and we will offer an experience that people will be proud of on the Gulf Coast. This facility will bring together every genre of music, every demographic, every walk of life and income bracket…it is for everyone and the common thread is the passion and love of great music and art,” Chase said. In one night, literally over night in 2012, thirty plus local and regional artists were assembled to let loose and paint the exterior of the Kress building. They were given carte blanche, able to do whatever they wanted, using color and creativity to decorate the structure. “The next day, when the regular work week began on Monday morning, all the business people returned to their offices. I swear it looked as if the hand of God had reached down and added all this color and light to the otherwise very drab and very plain horizon. There was so much life and beauty,” Chase said. As a result, many artists got special recognition and some got jobs and consignment deals. A huge block party under the name of “Art Can Change Everything,” was the special thank you the artists received for creating the Kress Canvas. The event resulted in the sale of many paintings. “Immediately after the Kress Canvas was completed, we began renovating the building in order to turn it into a live music venue,” Chase said. The Kress building is being restored to maintain and preserve the artistic architectural character of the past. Designer, Bobby Heinrich and Associates are working side by side with Sapphire Construction to have Kress Live ready in time for the big debut. It is an incredibly tight deadline with the grand opening festivities set to begin on July 4th. Several construction setbacks have made things even more difficult, including the loss of the entire roof. Chase is very impressed with the work being done by Sapphire and said that they are doing an amazing job. “I have no doubt that we will be ready to open on schedule…these guys are phenomenal.” Sapphire Construction specializes in refurbishing and rebuilding historic properties. Kress Live is completely devoted to advocating and celebrating our rich musical history. There are very deep roots of music traditions and trends alive today that began in Mississippi. “Why should we have to travel great distances in order to see concerts and shows that mimic what was actually created right here? I have never understood that and it had to be corrected,” Chase said. After years of research and visiting the top music venues in the country, Chase and Nick realized how important it was for them to bring the same level of entertainment to the Coast. “We work all day and all night to make this thing happen but it is so much fun and we are so passionate about it. Seeing it all come together and knowing how much the community will benefit is an amazing thing,” Chase said. The number one priority is bringing multi-genre, A-list entertainment to the Gulf Coast while giving back to the community. The music industry has changed so much. Album sales are a thing of the past and live tours are now the life blood of the industry. “It made perfect sense to take this step and it was a very wise business decision for us,” Chase said. Chase Taylor gave up a successful career in real estate in order to put all his efforts into the creation and ownership of Kress Live and he has never had more fun. Managing this huge enterprise requires him to wear many hats, including talent coordinator. “We are going to have shows covering all genres of music. Concerts will feature the Blues, Funk, Country, Metal, Electronic, Jazz, Alternative, and Rock. In addition, the line up of stellar entertainment includes Burlesque shows, Dueling Pianos, and theater productions, as well as major comedy club acts. The night belongs to the adult clientele but during the day, it is all about the kids. Kress Live will host a music academy program for aspiring musicians and singers. “We have assembled a great team of highly effective people in order to be able to compete on both a regional level and internationally. Our staff will be second to none. We will have four or five separate parts of this business under one umbrella including the Music Academy, a Music Museum, a private events sector, as well as a non-profit organization,” Chase said. Music memorabilia for the museum is being carefully and very thoughtfully selected. Each piece will be used to illustrate the culture and history of music in Mississippi. Although still in the planning stages, Chase and Nick envision guests taking the journey through the museum as they sync the experience with their smart phones. “It will be completely personal, and unique to each guest. The entire tour will be interactive,” Chase said. Kress Live is in quite a desirable location for securing world class entertainment. It is right in the middle of the southeastern tour circuit which covers Dallas to Atlanta, Memphis to Miami and so on. Chase Taylor is poised and ready to book talent whenever the opportunity is right. Kress Live will not only have a concert schedule on weekends, the schedule will fluctuate and shows will also take place throughout the week. “We will be competing with large markets so we will have to be very flexible. It will be interesting to see how it plays out,” Chase said. The venue can comfortably accommodate 2,000 people and because of the latest cutting edge equipment in lighting and sound, no two shows, will ever look or feel the same at Kress Live. The grand opening of Kress Live is going to be a huge event with several spectacular attractions throughout the entire 4th of July weekend. The party begins on Thursday, July 3rd which is by invitation only. The private affair is for VIPs, sponsors, music alliances and associates, family and friends. “It is a $20,000 production, with the best of everything and no expense spared. We are so grateful for all the support and enthusiasm we’ve received for this project and we are want everyone to know they are always welcome at Kress Live,” Chase said. The July 4th celebration on Friday will include an electric fireworks show inside! It will be a Hip Hop Electronic night featuring ECT! ECT!, P.M. Dawn, and Hyphee. The party will go on long into late night. Then on Saturday, July 5th, Kress Live welcomes Coolio, Dumpstaphunk, Rebirth Brass Band, Colonel Bruce with Brooks Hubbert & Siriusface, David Shaw of the Revivalists, Rumplesteelskin, and Hyphee returns for a second night! Posted in Business, Cover Story, Nightlife & Entertainment on July 1, 2014 by Admin.